6 to 12 million kids are infected with head lice every year in the United States. A person can get lice when he/she comes in contact with an infected person through sleepovers, hugging, sports, school, sharing clothes or hair care products and lying on the bed of infected person. They can stay alive with human contact like staying furniture or beds up to 24 hours. Uncontrollable urge of itching, pain and red bumps on the scalp are the symptoms of lice infestation. As they reproduce very quickly, it becomes really difficult to get rid of them completely in few days. Despite being embarrassing and frustrating to have them, they are not dangerous and don’t spread any disease. Their bite can cause itching and scratching can sometimes lead to infection. Generally, over the counter treatments and insecticides are prescribed for removing them. But over the time they have become resistant these treatments and mostly don’t work in removing them. Luckily, we have many home remedies which are effective in reducing and completely eliminating them. Off all those home remedies, olive oil is considered one of the effective methods. Does Olive Oil Really Work for Head lice? Olive oil smothers and suffocates the lice which make it easy for us to remove them with combing. The application of olive oil deprives the lice of oxygen which make it vulnerable to breathe and eventually die off. 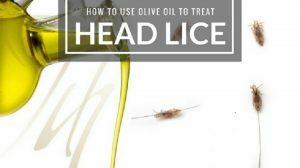 How to Use Olive Oil for Head Lice? There are different ways of using olive oil to eliminate the head lice infestation. We have listed them below with a detailed description of the process. Application of olive oil more than 8 hours suffocates the head lice. It lubricates the hair making it easy to comb off the dead head lice. Apply a liberal amount of head lice over the scalp and along the hair. Pile the hair on top and wrap the head with a plastic wrap tucking in all the hairs. Cover it with a shower cap and towel. Next day in the morning, remove the shower cap and plastic wrap. Place a towel on the shoulders and comb the hair thoroughly using a comb. Keep combing for few minutes until you remove the traces of head lice. Rinse off your hair with shampoo followed by conditioner. Repeat the process 2 times a week until you get rid of the problem completely. This process of lice treatment prevents another infestation, promotes healing and leaves a pleasant smell to the hair. Combine enough amounts of olive and few drops each of lavender oil and tea tree oil. Apply the oil mixture into the scalp and along the hair. Cover your hair with shower cap or towel tightly. Comb the hair thoroughly and rinse off with shampoo. This process ensures of eliminating head lice and preventing infestation. Apart from that, it cleans the scalp properly. Mix 1 1/2 cup each of olive oil and conditioner (any brand of your choice). Add some liquid soap into it and stir well. Leave the application for an hour. Rinse off your hair thoroughly. Comb your hair to remove the dead head lice. Tea tree oil acts a natural insecticide which effectively removes head lice. Avoid applying tea tree oil directly to the scalp as it can cause burning sensation, irritation and other discomforts. Tea tree oil should always be diluted. In this process, we dilute tea tree oil with olive oil. Mix 3 tablespoons of olive oil, 1 teaspoon tea tree oil and 1 ounce of natural shampoo. Apply the mixture gently on the scalp and along the hair. Cover your head with shower cap or towel tightly. Leave it on for 1 – 2 hours. Comb your hair while it is still wet to remove the dead lice. Combine enough amounts of olive oil and few drops of tea tree oil. Massage the mixture into the scalp and along the hair. 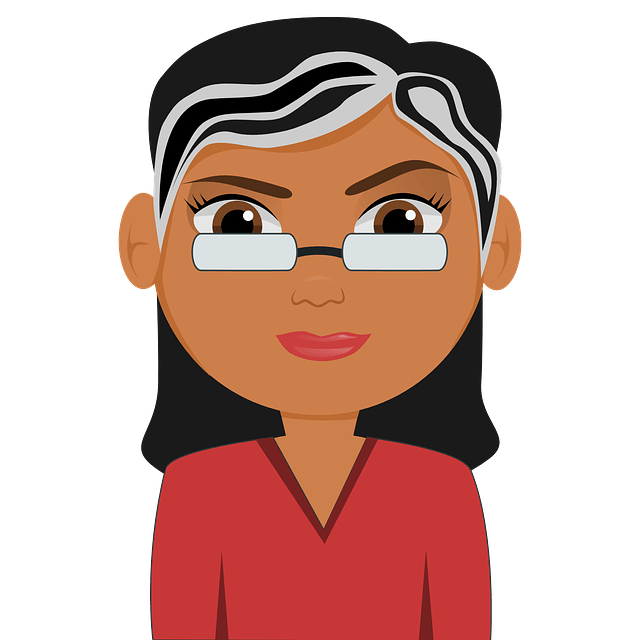 Leave the application for 30 – 60 minutes. Rinse the hair thoroughly with shampoo. Second time rinse with vinegar. Comb the hair to remove the head lice. Alternatively, you can avoid the vinegar step and follow the remaining process. Combine 3 tablespoons of tea tree oil, 1 tablespoon tea tree oil and 1 teaspoon eucalyptus oil. Mix well until the ingredients incorporate well. Rinse off with shampoo and comb the hair thoroughly while still wet. Essential oils are also proven in eliminating head lice. Some of the essential oils that work for head lice removal are eucalyptus oil, red thyme oil, neem oil, lavender oil, cinnamon leaf oil, peppermint oil, clove oil, aniseed oil, nerolidol oil and ylang-ylang oil. You can use any essential oil in this list for the below process. Check for allergies before using essential oils. Mix 15 – 20 drops of any essential oil into 2 ounces of olive oil. Gently massage the mixture into the scalp and along the hair. Leave it on for 12 hours and comb thoroughly for few minutes. Rinse off your hair with shampoo twice. The acidic nature of vinegar eliminates the head lice and nits. Mix equal amounts of olive oil and vinegar. Apply the solution to the scalp and along the hair. Cover your hair with shower cap or towel and leave it for an hour. Rinse off with shampoo followed by conditioner. Kerosene helps in eliminating the head lice yet we recommend using this process on kid’s hair. Combine equal amounts of olive oil and kerosene. Apply this mixture to the hair and scalp. Leave it on for an hour or two. Rinse off the hair with shampoo followed by conditioner. Comb the hair while it is still wet to remove the dead lice. Does Olive Oil Kills Nits or Lice Eggs? Though olive oil is effective in killing the head lice, it is ineffective doing the same with nits. The olive oil cannot penetrate into the hard shell of the egg. Once the egg hatches, the application of olive oil suffocated and kills the baby head lice. The nits are attached to the hair shaft. When we apply olive oil to the hair, it loosens the grip of nits with the hair shaft. Now nit comb can be used to easily remove them from the hairs. You can use any cheap virgin olive oil for the above treatments. Make sure to follow the process regularly to completely eliminate the head lice. Avoid head to head contact with people infected with head lice. If you are infested never share your combs, hair accessories, sweatshirts, clothes or bed sheets. Regularly clean and sanitize carpets, furniture, mattress and bed sheets. Cover the seats with jacket or sweatshirt in public places like a movie theater, bus or airplane. Regularly clean your hair accessories and combs in warm water. You can add few drops essential oil in the water. Follow the process regularly to eliminate the newly born head lice as well. After regular follow-up, of the methods, you can eliminate them permanently. You can try to use the method once in a while to prevent the infestation. We hope you will try olive oil to get rid of head lice. Do you have any other remedies that work better? Share your experience and suggestions in the comments section below.